So after I almost choked on my lunch, when Mr Beach House told the Beach House Brat, the Easter Bunny was a fraud. 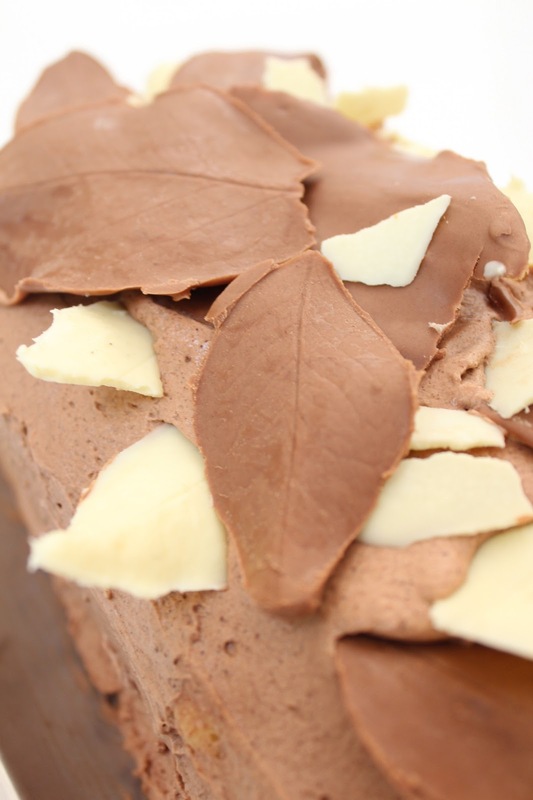 I pulled myself together to assemble this easy tiramisu with chocolate leaves for dessert. I assembled it, but my lovely mum, the chef extraordinaire actually made it. She is about to embark on her ninth decade, and she is still a fabulous cook. And she can rock a chocolate leaf as well. These were transported for 45 minutes in a car and unfortunately they melted a bit. The white ones just crumbled as the chocolate had slid off the leaves. The milk chocolate ones were fine and peeled off beautifully to reveal the veins of the leaf. 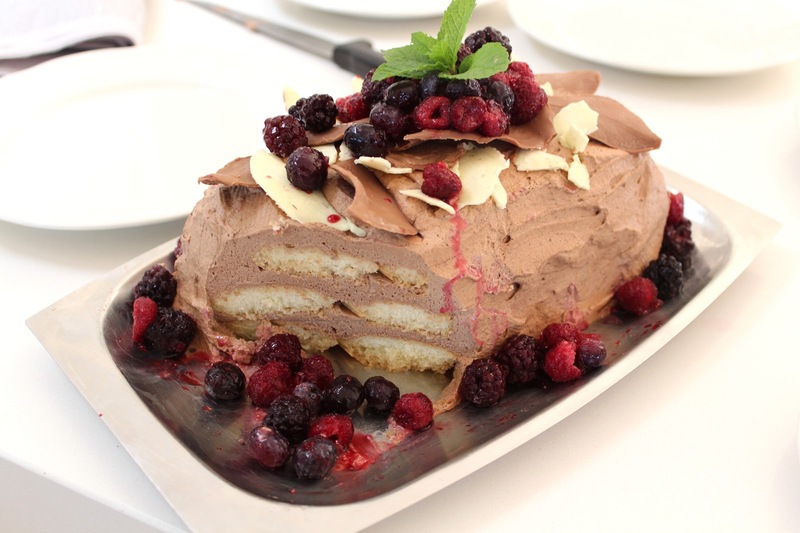 Now tiramiso is usually made with mascarpone and eggs, but this is the no fuss version made with cream. I say no fuss, but I DO NOT say no calories. This is a celebration cake people and although there are some leftovers in the fridge, they have Mr Beach House's name all over them. I do not eat this stuff unless we are celebrating something and I am back to the 'good girl' eating regime, lest I undo all the good work I have slaved over, in the last 18 months. Put the cream into a bowl. Whilst beating the cream, gently add coffee and drinking chocolate, one spoon at a time. Do not over beat. Pour sherry into a shallow plate and dip 6 savioardi into the alcohol. Arrange on a serving plate side by side. Spread a layer of cream over the biscuits taking it over the sides as well. Repeat using all the biscuits, until you have 3 layers of cake. Frost the cake all over with any remaining cream. Refrigerate lightly covered. Place tooth picks in the top to keep the covering from denting the cream. Smooth over to serve. Cut on the diagonal to get the best effect. Mum said you can make this dessert the day before. 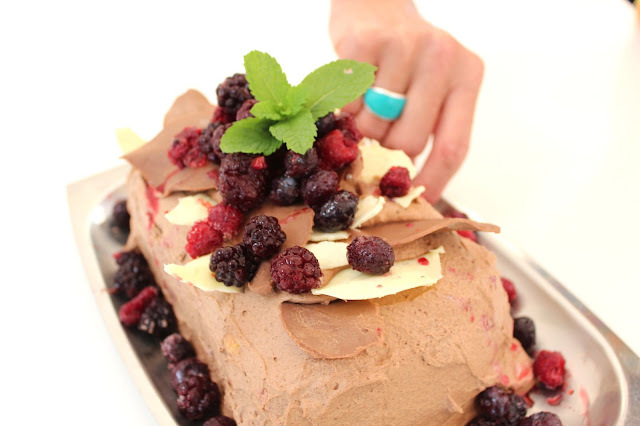 For my other easy baking ideas go here. 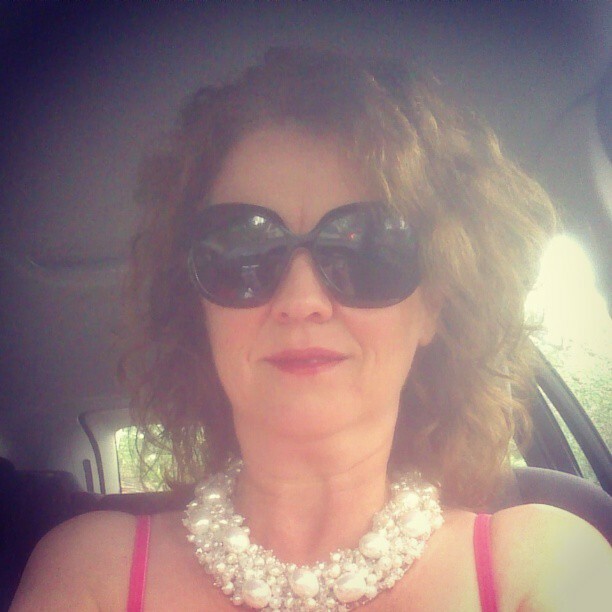 In other news, I am rocking my new couture pearl necklace. I absolutely la la la love it and do not want to take it off. It arrived by post yesterday, so I wore it on the school run. Perhaps to liven things up a bit, I'll wear a sequined evening dress tomorrow as well. Amazing what a new set of pearls and some lippy can do to lift the spirits on a wet Sydney afternoon in paradise. I've started a Newsletter. So if you don't want to miss a thing, enter your email in the slot at the very top of my sidebar. Have you entered this fab giveaway yet? It will be drawn tomorrow. I am giving away a $100 gift voucher to spend in a fabulous online homewares store, Allissias Attic Design here. The store is full of beautifully inspired French, vintage and Hamptons style pieces, which I know you will love. wow.. the dessert looks so professional. great photography! oh - how pretty is this!!! i would like to know how to make a GF version of this- though i have never come across any gf savioardi biscuits! 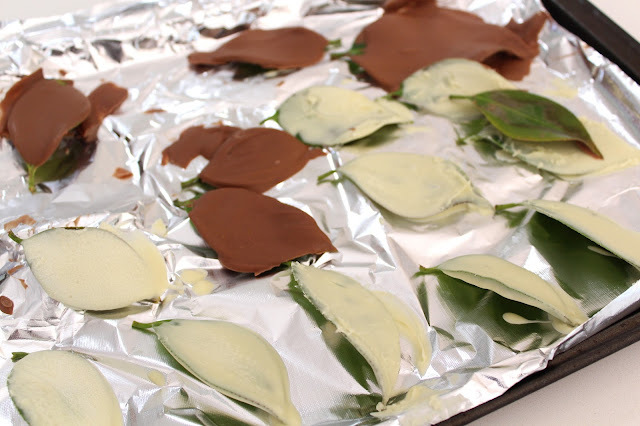 the chocolate leaves look fabulous! Two big Wow's today. 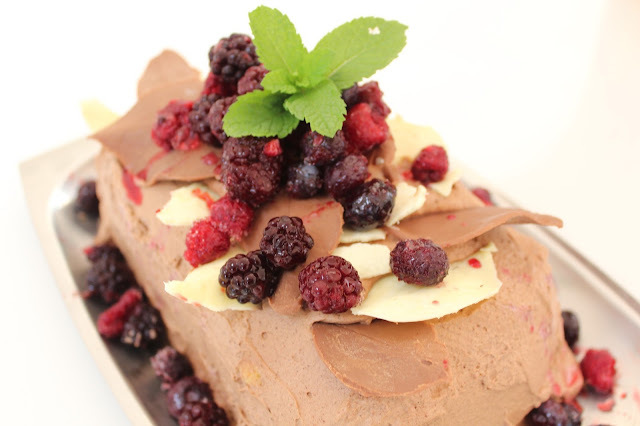 Wow on the tiramisu-Nice to know how to make the chocolate leaves and what leaf to use. Second wow on the pearl necklace. So much style. Those chocolate leaves look awesome and your necklace is just beautiful!! That necklace is gorgeous Carolyn. If I had one I'd never take it off! Where did you get it? Stunning. From the chocolate leaves to your pearl necklace, this was a delightful post. I've always wondered how to make those leaves--thanks so much for including the recipe at Foodie Friday! Wow oh wow! Amazing looking! Come link up to my linky party Centerpiece Wednesday and share your post.